This morning I went to Y7 Studio in Flatiron for some hip hop hot yoga. It’s a 1 hour class in an 80-90 degree room where you start sweating almost immediately. 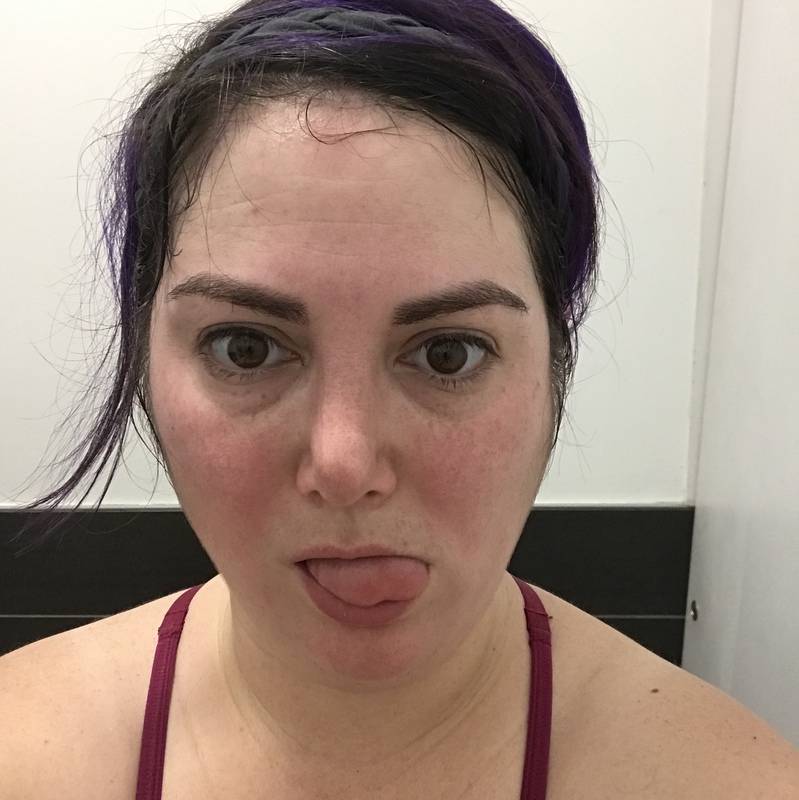 The last time I did hot yoga (many many years ago) I had a bit of a panic attack and had to stop. Today, I made it all the way through. I actually enjoyed it at points. I managed to do most of the vinyasas and only took a few extra minutes of child’s pose. My back held up throughout the whole class and I’m sure the heat helped loosen me up a bit. The studio itself is nice and has good amenities including deodorant spray and dry shampoo for post-yoga, I’m not going to shower, getting ready. The biggest flaw on the studio is it’s at the top of a 4th floor walk-up. You’re out of breath before the class even start. They also have really cool and tempting swag if you’re into yoga swag with funny sayings on it. Would I go back? I think so. I’d be curious to see how I might progress and be able to keep up even more with the class.